Assoc Prof Jason Abbott is Associate Professor of Gynaecological Surgery at the University of NSW. He has been associated with the ACW since 2003 and has facilitated at more than 30 workshops. He has been an AGES Board member since 2011 and is the Director of Gynaecology at the Royal Hospital for Women. 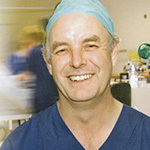 He reviews for 15 international journals, is the International Editor for the Journal of Minimally Invasive Gynaecology, is a director of the Royal Hospital for Women Foundation and Endometriosis Australia and is the Chairman of the Practice Committee of the AAGL charged with delivering evidence based guidelines for surgical gynaecology. He has more than 100 publications including text books, book chapters and large-scale RCTs in gynaecological surgery. Jason supervises 4 PhD students in the area of gynaecological surgery. Dr Jessica Yin is a Urological surgeon based in WA. 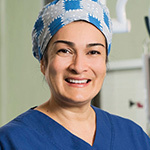 Her subspecialty area is Reconstruction, Continence and Female Urology. She is the Chief Urologist at King Edward Memorial Hospital for Women, working with the Urogynaecology Unit. Jessica sits on the Functional Urology Special Advisory Group for the Urological Society of Australia and New Zealand (USANZ) and is a Senior Lecturer and Surgical mentor at Notre Dame University. Jessica regularly facilitates at the ACW and has been an instructor on a number of RACS courses including ASSET and CCRISP. Previously Jessica has held the position of State Chair of the Royal College of Surgeons, Board member for the Continence Advisory Service of WA and MAC Chair at Hollywood Private Hospital. In addition she was the President of SynchroWA (the governing body for synchronised swimming in Western Australia) for 2 years, successfully sending a WA heavy team to the 2016 Olympics. 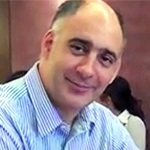 Assoc Prof Chris Georgiou is a UK medical graduate who trained in O & G in London and Australia. He completed a one year fellowship in advanced laparoscopic surgery at the Sydney Women’s Endosurgery Centre. He now works as a consultant obstetrician and gynaecologist at Wollongong Hospital, NSW. Chris has particular interests in adnexal laparoscopic surgery, complications in O & G, teaching, risk management, complicated Caesarean sections and post-partum haemorrhage (PPH). He is an Associate Professor at Wollongong University and Academic lead for O & G at the Graduate School of Medicine. 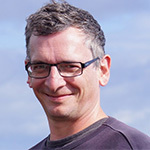 Chris is/has been a member of: Board of Directors RANZCOG Scientific Foundation, University of Wollongong Human Ethics Committee, RANZCOG Universities and College Liaison Committee, AGES and is a reviewer for journals in relation to PPH and Balloon tamponade technology. Chris received the Taylor Hammond Research Foundation Scholarship in 2009. Assoc Prof Marina Wallace is a Consultant Colorectal Surgeon working at Fiona Stanley and Fremantle Hospitals. 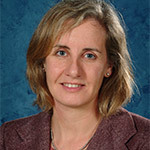 She is also an Associate Professor with the University of Western Australia. Marina immigrated to Australia 10 years ago, initially on a one year program to train in advanced laparoscopic techniques, but found the lifestyle and working environment so good that she never left. Dr Greg Robertson is a WA graduate and a Certified Gynaecologic Oncologist working at the St George Hospital and the Royal Hospital for Women in Sydney. He is the Chair of the Gynaecology Group of the Clinical Oncology Society of Australia. He is involved in subspecialty training in gynaecologic oncology and is an enthusiastic teacher. Greg has been involved in many workshops and was a contributor to the development of a special workshop for gynaecologic oncology trainees. Prof Jeff Hamdorf is Professor of Surgical Education within the School of Surgery, and Director of the Clinical Training and Evaluation Centre (CTEC) at The University of Western Australia. He is a General, Upper Gastrointestinal and Bariatric Surgeon at Hollywood Private Hospital, Perth WA. His clinical interests are in upper GI surgery including laparoscopic adjustable gastric banding and sleeve gastrectomy for the management of morbid obesity, panreato-billiary & oesophago-gastric surgery, diagnostic and therapeutic laparoscopic anti reflux surgery and general surgery. He has established a team with a strong multidisciplinary approach to morbid obesity care. He is a founding Director of the Australian Institute of Weight Control. 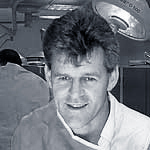 Jeff was involved in the initial planning of the Anatomy of Complications workshop and it is with pleasure that we recognise his contribution to the teaching faculty. Prof Richard Naunton Morgan trained in the United Kingdom and Australia. He is a General and Upper GI Surgeon. He has a keen interest in teaching, especially in error avoidance, early recognition of complications and delay minimisation. He is an EMST and CCrISP Senior Instructor, ASSET Director, DSTC Instructor, a Facilitator of Teaching on the Run Modules and the Convenor of CTEC’s Core Skills: General Surgery Trainee Workshop. 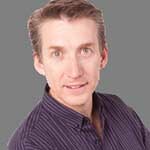 Richard is also a Faculty member for CTEC’s Core Skills: Laparoscopic General Surgery and Core Skills Cytoreductive Surgery workshops. Additionally he is Discipline Leader and Professor of Surgery at The University of Notre Dame, Fremantle.